I’m glad to be back and Attempting to get back on schedule. Intended to get back to my projects on Thursday but forgot that I had scheduled my mammogram for the morning. Throws my whole schedule off when I don’t get started early so I just poked around the rest of the day, much like what happened to Me when I went for the mammogram. Someone MUST come up with a better way to administer that test…but let’s get to something more pleasant. 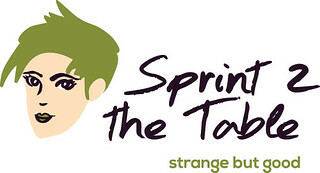 While on my Blog Break, I really missed participating in Strange But Good hostessed by the lovely Laura at Sprint 2 The Table. It’s a great deal of fun and I find so many good suggestions there. My photos never seem to be as pretty as Laura’s but what the heck…it won’t stop me from trying…or joining in! In Maine there is a store called Reny’s where you truly can buy everything but the kitchen sink. Amazing! 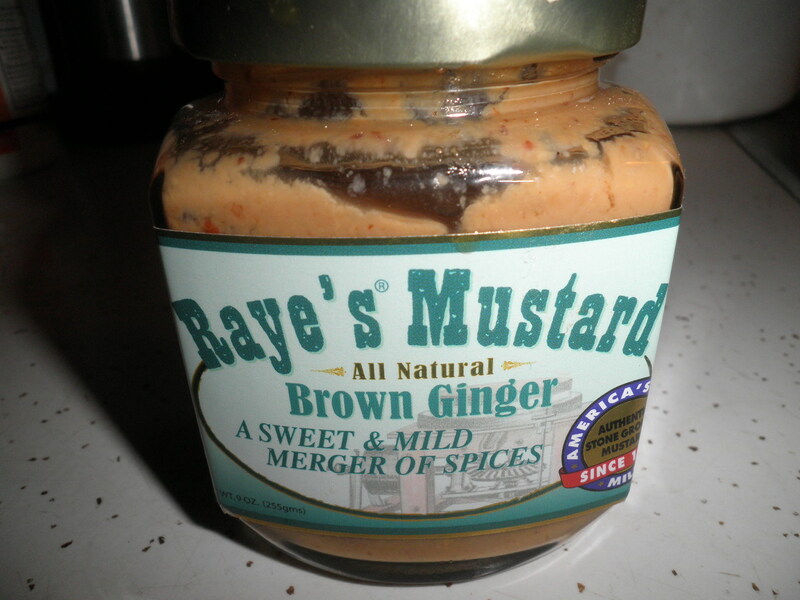 One of the things that Gail introduced me to last year was Raye’s Mustard purchased at Reny’s. She had brought me a jar and I had never opened it. While on my vacation, I got to experience it. There are 25 different flavors. I tried several while with Gail and realized when I came home that the one I had was one I hadn’t tasted! Sounds interesting and it is!! Sweet and tangy all at the same time. It’s amazing how good and different mustards can be. Raye’s certainly has learned the trick. So…how do we get to strange but good? 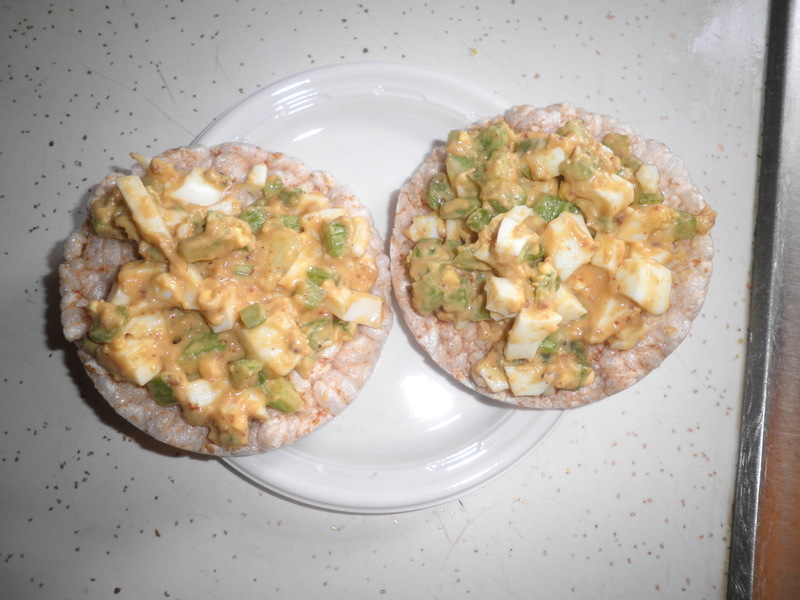 Of course with Weight Watchers always on my mind and trying to make the most of my Points, while in Maine we made egg salad with one of the Raye’s mustards, I forget which one at the moment. Knowing I had my jar in the cupboard here in New Jersey, it was one of my first thoughts when I got home. 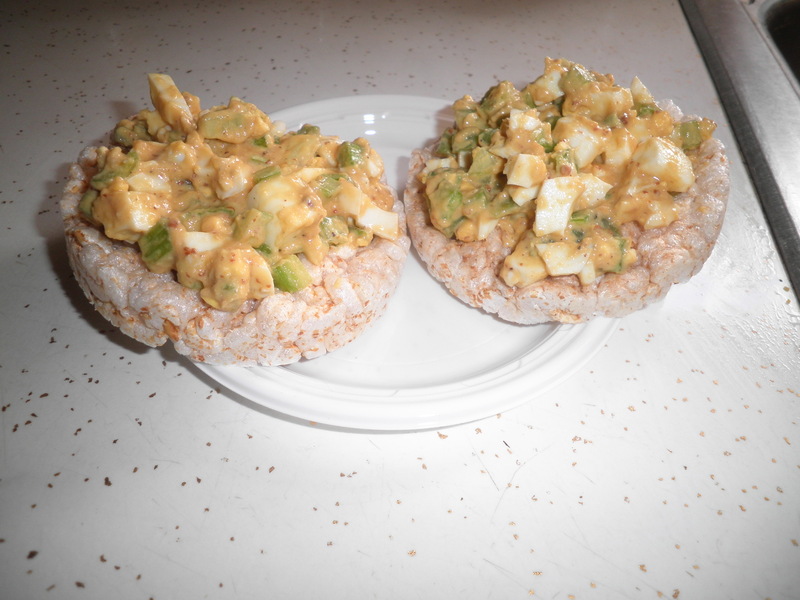 So tasty it makes plain rice cakes taste good! As always seems to be the case…Not Pretty, but Very Tasty! I even have leftovers which I think will be lunch today! I really wanted to eat it on a wonderful new pita that we also found in Maine but couldn’t find when I went shopping. I’m on a mission this weekend to find them. I’ll share that info when I find them. That’s the Strange But Good portion for today. Be sure to check out the other strange folks over at Sprint 2 The Table. I’m off to start working on my stash of stuff that’s stored at my sister Ele’s house. I think there are quite a few treasures there that I can sell. Or they could be donated. Or they may just be trash…we’ll see what comes of it. The really hard part will be when I get to the boxes with the majority of my books. I am determined to weed them out, but I thought I already did, so this will be a tough one for me. I know I won’t get to the books today, but that will probably come at some point next week. Happy Friday!! Wish me Luck!! This entry was posted in Uncategorized and tagged sorting and packing, Strange But Good, Weight Watchers. Bookmark the permalink. Glad you are home and I love my chakra Buddha! Mammogram- what a way to start a post 😉 Hope everything went well! I haven’t quite reached that stage yet and I’m so grateful. Haha. I really do not like mustard but I do like ginger… so this could be something that I would be totally willing to try. Sounds really good! Hi Madison! Mammograms are not great but this one was better than usual, so I didn’t mind. Only once a year if you’re lucky. On the subject of mustard, I do love it and this company is incredible. The flavors are all so unique!